The Acts of Parliament relating to mining came into force due to the many accidents caused to miners by a system that allowed the colliery owners to run operations in an unregulated manner. The system which used outdated and often dangerous methods and practices to win the coal caused many lives to be ruined and lost with the use of inexperienced women and children as a cheap alternative to the employment of men. In the Brampton collieries the seams were shallow and small and a man could not physically work on the coal in the conditions that prevailed and so small agile children were used in their place. Such was the concern about the employment of women and children in mines the Government commissioned a report undertaken by John Michael Fellows on the Employment of Children and Young Persons in the Mines and Collieries throughout the country. The report was published in 1842 and as a result Lord Ashley introduced measures to prohibit the employment of women underground and also restricting the labour of young boys. He also made it an offence for wages to be paid at or near a public house. These measures were of course opposed by the colliery owners including one of its main opponents the Marquis of Londonderry. However the Bill became law on August 10th. 1842. I have a copy of the Derbyshire report and it includes interviews with 527 people of all status including the colliery owners, old colliers, children and managers. They visited schools, churches, coal, lead and Ironstone mines and as such this large volume makes very interesting reading. It is a comment on the moral, ethical and social standards of the day. Colliery Holidays. "I am not aware of any, further than Christmas Day, Good Friday, and a day or two at Whitsuntide". After the 1842 Act many new laws were passed but these were hard won by the unions and the actions of the men which caused much resentment between the men and the owners. One of these laws passed in 1850 was the inspection of the mine workings prior to, during and after the working shift. In 1855 it was deemed necessary to have seven general rules to be observed at all collieries and other special rules were to be framed and put into force at all collieries. More accountability was made for the owners and management structures were more clearly defined. One problem which came from this was the resentment of the men for a system that could fine and imprison them and only fine the owners. A further Act was made in 1860 which made the Act of 1855 more permanent and boys under the age of eighteen were prohibited from acting as enginemen. It also allowed for the men to employ a checkweighman at their expense. The 1862 Act came about due to the loss of 204 men in the Hartley colliery disaster in Northumberland and it made provision for two entrances at every mine. The Coal Mines Act of 1872 provided for safer working conditions and for the inspection of the workings by the men themselves from time to time during a shift. Every mine had to be under the control of a registered and certificated miner. The age limit for the employment of boys remained at ten but the hours they were allowed to work was set to ten per shift. The hours of schooling were to be twenty each fortnight for all boys between the ages of ten and fifteen. 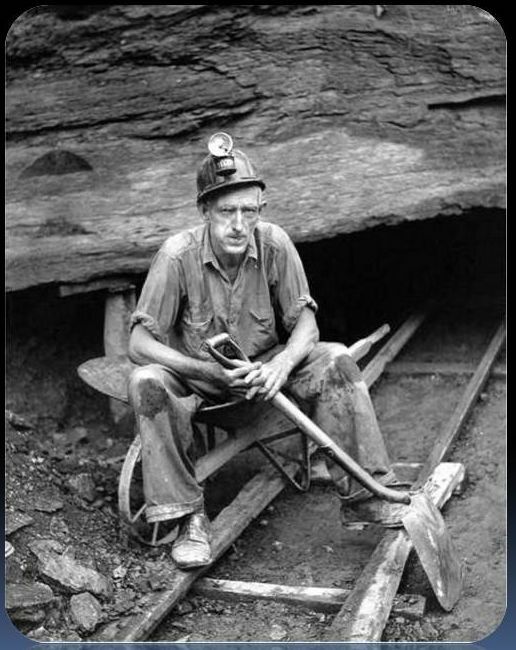 Men were no longer to be paid for coal by measure they were now paid by weight this put an end to a long term grievance. The Three Check or Tally System. It was noticed that after mining disasters had occurred that it was impossible to know exactly how many men remained underground in a stricken mine. It was normal to go around to the houses of the miners and ask who had not returned home from work. Men were deployed underground and miners were sent home if they were not required. At Markham colliery older miners told me of how they were deployed underground and it was not until possibly the early 1970’s that they were deployed from the surface. A system of brass checks or tallies was devised to allow the miners to be traced. Three checks or tallies were made for each miner the checks were marked with the colliers individual number. The square check was given to the banksman before entering the mine he then sent them over to the time office on the trunk bundle system. (Like the Coop. Used to send the money upstairs in their stores) and placed on a board thus indicating that you were in the mine. The round check was given to banksman on leaving the mine. This was also sent to the time office to say that you were out of the mine. The triangular check could be shown to the wages clerk to get your pay or pay ticket and as a way of indicating you were employed by the Coal Board whilst on Coal Board transport. (You can also peel an orange with it or use it as a screwdriver). My Checks from Markham Colliery. (ANB).